The Butler plan is a nice three bedroom plan featuring two bathrooms, with a huge ensuite from the main bedroom. The L shaped kitchen becomes the hub of the home with dining included. 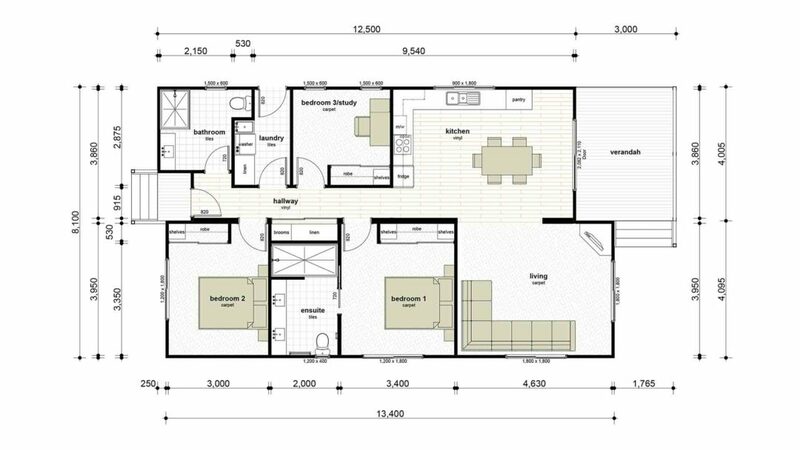 Get a detailed view of the Butler floorplan.